walking distance to the very centre of the city. The most popular sights, suchas the National Museum, State Opera, Vysehrad or Wenceslas Square,are only 5-10 minutes away on foot. season, relax in the hotel sauna, whirlpool and enjoy the classical or hot-stone massage. 0 meters away, there are 9 apartments, all accessible by elevator. Andel Apartments are self-catering and each one has a fully-equipped kitchen. 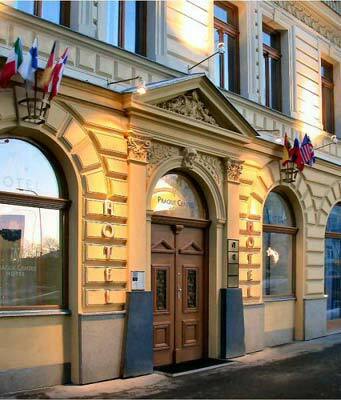 There are also many cafés and restaurants near the hotel offering authentic Czech cuisine at affordable prices. You can start your day with a rich breakfast in the form of cold and warm buffet. The restaurant Kuře v Hodinkách offers a pleasant environment, where you can listen to music in the evenings; it serves Czech and international specialities. to another century and are looking out over a magical city full of history. to the famous Wenceslas Square with the National Museum. are also easily accesible by either hotels´ limousine service, reliable public transport or walking. and Executive Lounges offer lots of additional amenities. The Apollo Day Spa on the top floor offers a wide range of spa and fitness facilities and superb views. It is accessible at an additional cost when staying in a Superior Room. 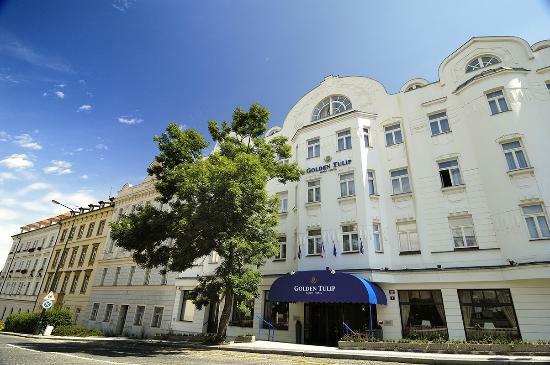 Luxurious hotel Golden Tulip Savoy Prague combines the charm of the old days with the luxury of today, offering all the benefits of modern age. romantic lanes and cobbled streets of the Lesser Quarter. 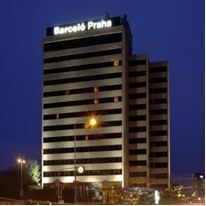 From Václav Havel airport is hotel 10 km away.